Screenshot of video posted online showing smoke engulfing the area around the US Embassy in Beijing. Below we have a selection of Weibo posts about the explosion that were deleted from the platform. We have arranged them in order of appearance, the first happening at 1:30PM Beijing time, 20 minutes or so after the explosion. 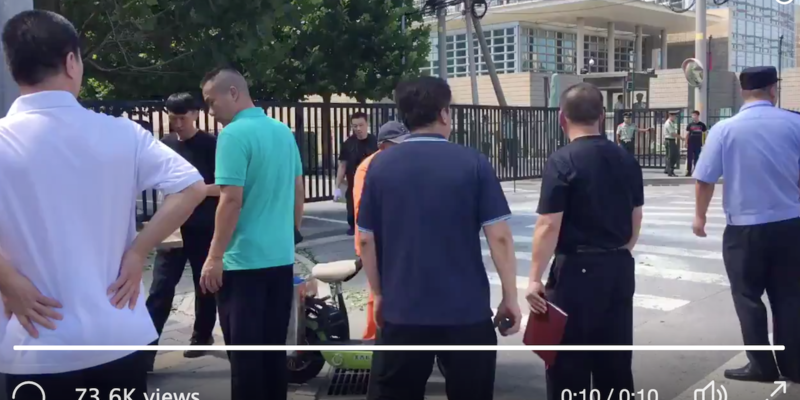 The bomb was reportedly detonated by a single attacker, who has been identified as a 26-year-old man from Inner Mongolia surnamed Jiang. Other than the attacker, no one was injured in the attack. If you want to understand how sensitive the sharing of eyewitness material can be in China, definitely watch this thread from AFP correspondent Becky Davis. 2018-07-26 13:30:46 | An explosion at the US Embassy . . . Huh? 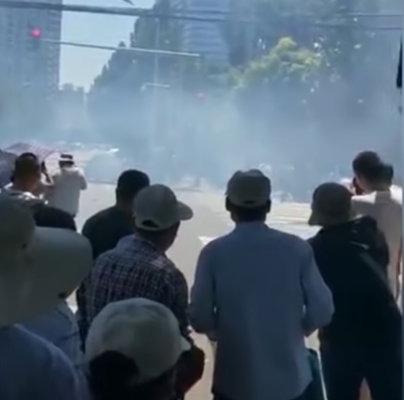 2018-07-26 14:50:28 | 【News Brief】- US Embassy in Beijing: An explosion has occurred outside the US Embassy in Beijing, caused by one person with a bomb. Aside from this person with the bomb, so far no one else is injured.